Let me explain. 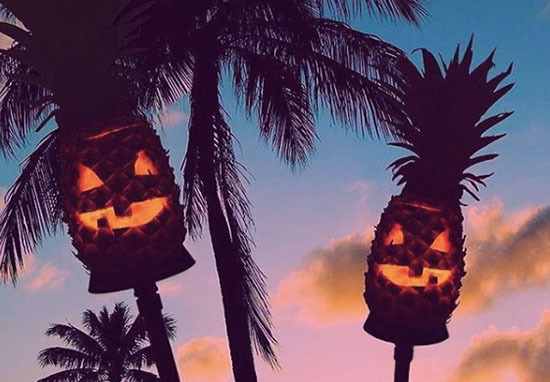 Somewhere, someone, has decided carving pumpkins is simply not scary enough and in their opinion, a pineapple should be used to create the utmost terror. Due to it’s stickiness, drawing out a design on the pineapple with a marker doesn’t work that well so you will have to freehand. Now, I don’t know about you, but carving without guidance would not end well for me. 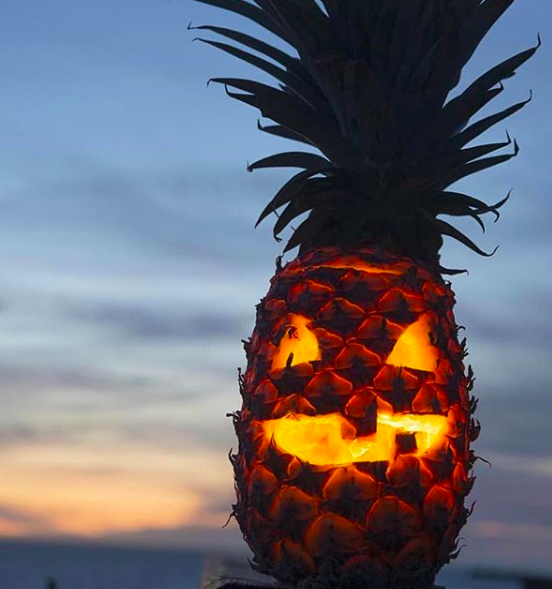 The pineapple would end up looking like it’d been butchered and I’d probably storm out of the room in a strop. Martha also advises not to pick an overly ripe pineapple – otherwise, you would create a ‘sticky mess’ when carving, which is not ideal. She also recommends using a pineapple corer (am I the only one who’s never heard of this?) to make the scooping process simpler. Anything to speed the process along, I guess? Well, what are you waiting for? Happy carving people!